Posted byAaron Brazell	 November 30, 2009 18 Comments on Poll: My Best Photo? Flickr is having a “Best Photo of 2009” contest where group members are encouraged to share one and only one photo from 2009. I’m torn so I’m turning it over to you. Which one should I submit? If I Jump, Will I Slide? 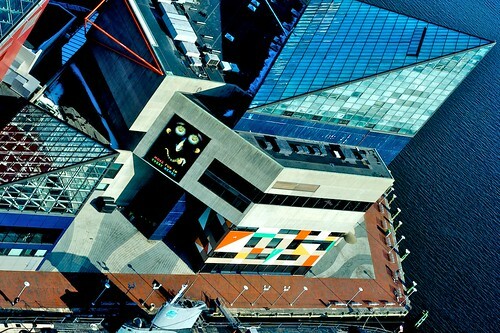 Taken atop Baltimore’s World Trade Center of the National Aquarium. This photo is special to me because of the conflicting angles and lines. The color is nice as well. Taken on January 20, 2009 at Inauguration Day, this picture to me represents the change in America, yet also how much things are the same. In this case, commercialism reigns supreme. 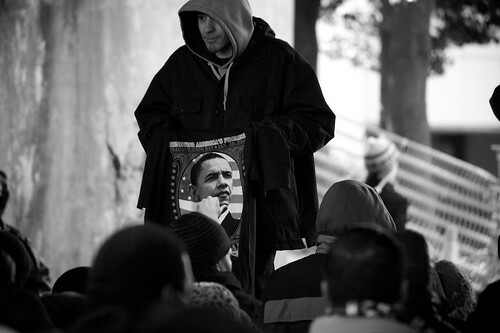 The figure is shrouded in a dark hooded jacket and is selling tee shirts, and carries a suggestion of the Grim Reaper. 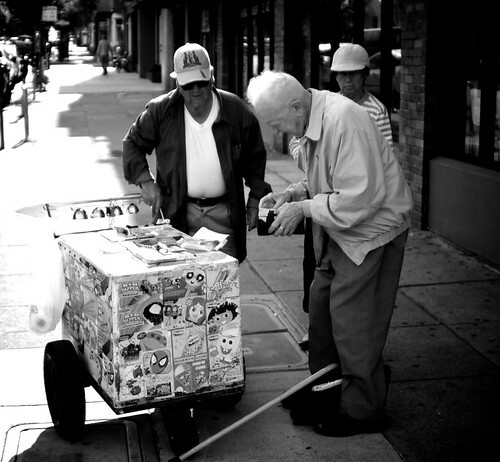 Taken in San Francisco in the Mission District, this picture conveys a sense of “classic America” as an old man purchases ice cream from an icre cream cart vendor. 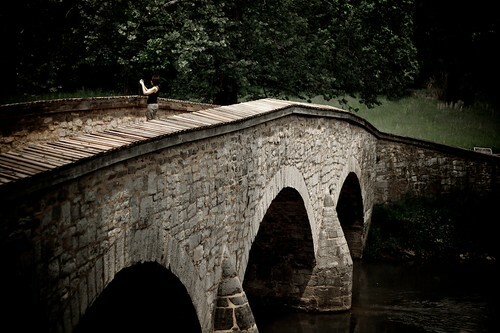 This photo has an antique quality to it and is a picture of one of America’s most famous civil war landmarks – Burnside’s Bridge at Antietam National Battlefield. The picture is iconic, yet conveys a sense of solitude and foreboding. Without knowing what, an outside observer would say, “Something bad happened here” just by looking at the picture.